Jeanine Corderre opens for the Damon Castillo Band at our Concert on the Green! Read more. Unfinished Business takes over Concerts on the Green with opener Charlie Baker! Read more. Enjoy the sounds of '80's era modern rock by DV8D at our Concert on the Green! Read more. Back Pages Band takes the stage at our Concerts on the Green! Read more. Dirty Cello performs at Concerts on the Green with opening act Miss Leo & Her Bluegrass Boys! Read more. Bear Market Riot take over Concerts on the Green with opening act, Dante Marsh! Read more. Enjoy music by Burnin' James and the Funky Flames with opener Burning, Bad, & Cool and Jim Schoolis! Read more. Enjoy the sounds of American folk country by The Turkey Buzzards at our Concert on the Green! Read more. Truxton Mile will take the stage at Concerts on the Green! Read more. 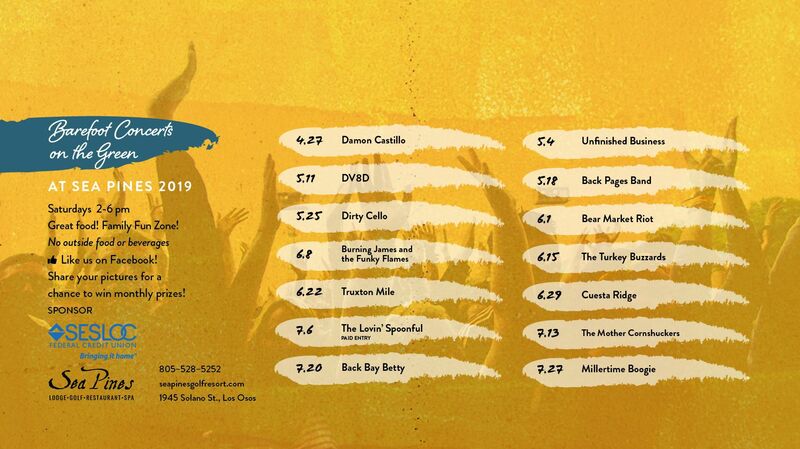 Cuesta Ridge take over Concerts on the Green with opening act, Cody & Toan! Read more. 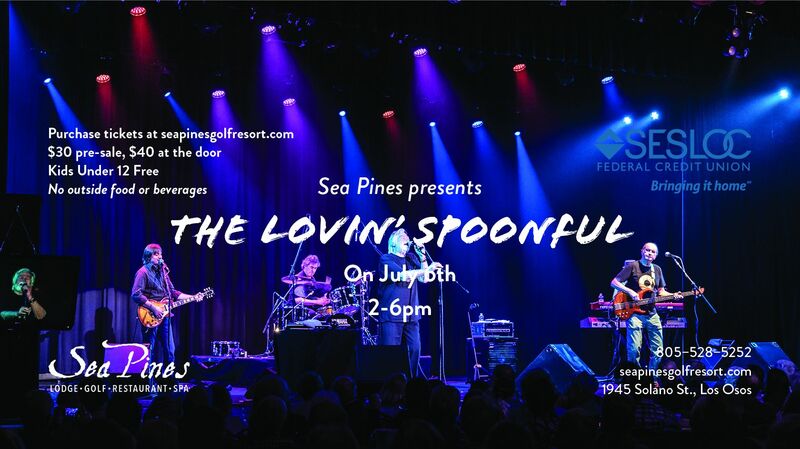 Sea Pines is the ONLY West Coast concert scheduled for 2019! Read more. Jeremy Best opens for the The Mother Corn Shuckers at our Concert on the Green! Read more. Back Bay Betty rock Concerts on the Green with opener Emily Franklin! Read more. Get your groove on with Millertime Boogie's Concert on the Green with opener Mojave Highway! Read more. We love showcasing the Central Coast's best talent at our San Luis Obispo venue! Whether you're a musician, comedian, or other entertainer, please fill out an entertainment submission to be featured at one of our events.